This 4,100 s.f. 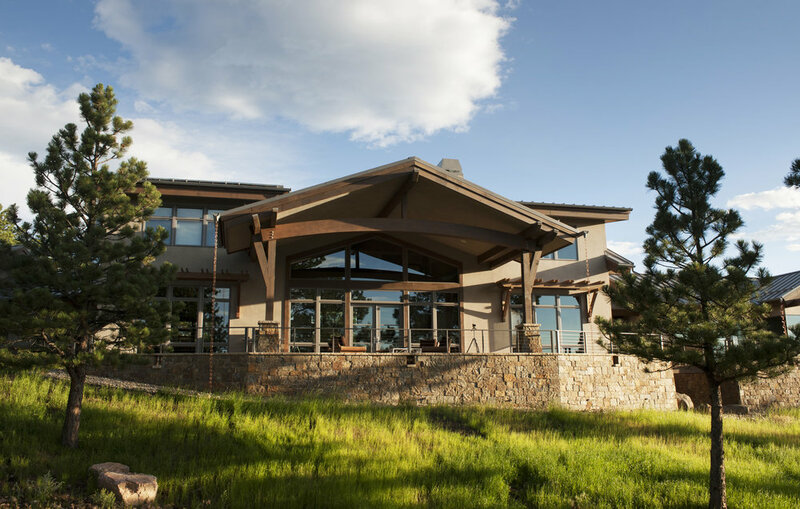 contemporary mountain home features vaulted ceilings in the soaring great room, expansive views & generous indoor/outdoor living spaces, includes fire-resistant construction and a wealth of sustainable design elements. 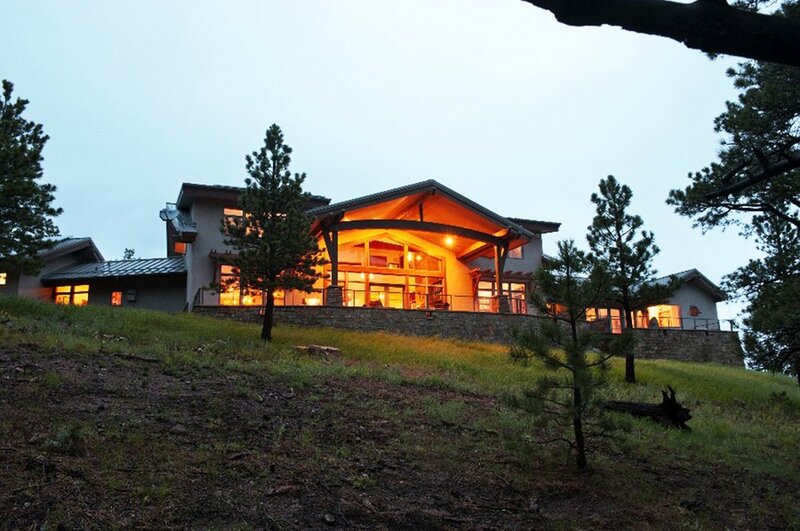 An energy efficient envelope, ground-source heat pump, passive solar design, 10kw PV system, an ERV (Energy Recovery Ventilator), and “tuned” windows combine to create a HERS 22 home. The master bedroom suite is accessed by a bridge and features a private zen garden and soaking tub with a frameless glass corner window. 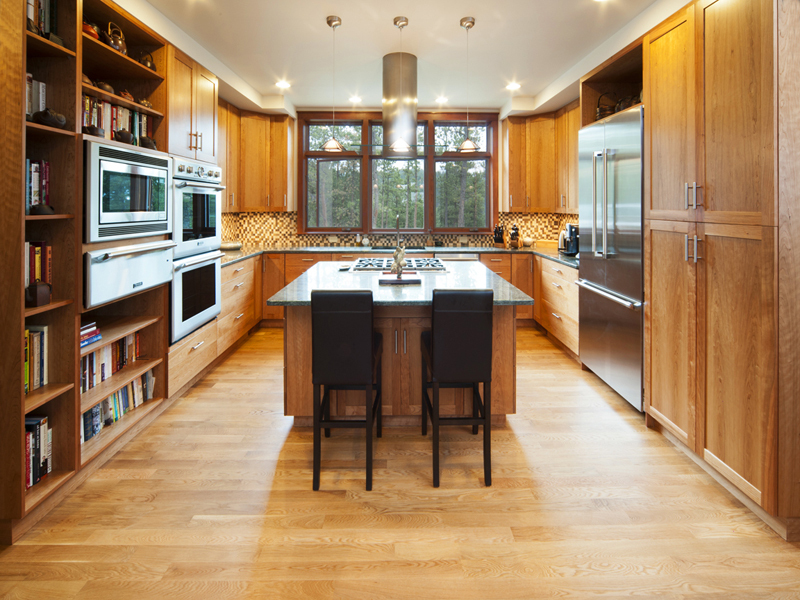 This home’s open floor plan has fantastic natural daylighting in every room and spaces that flow functionally one into the next. We are very happy and proud of the result; we have loved every bit of the process and so much of that is due to Skycastle and the rest of the team. It was a joy working with all of you. As soon as we get everything unpacked, we would love to find a time to have you all up to the house. The only part of our house being finished that is sad is that we won't see as much of you. We're really glad that you are building the house across the street and hope that you will drop in for a cup of coffee when you are up there.